Many business owners view customer experience (CX) and customer service as being interchangeable. But the fact is, one impacts emotion and feelings incorporating the entire customer journey, while the other is a single touchpoint with a brand. How Is Customer Service Different Than Customer Experience? In most cases, a customer’s first interaction with a company is with an employee, either over the phone or in person, providing the business with a chance to deliver outstanding customer service. However, customer service is only one feature of the entire customer experience. While customer service is still as essential as ever, it’s no longer the only focus of the CX. Now, the customer experience provides new ways to reinforce customer relationships through technological advances. 1. Craft a clear vision. The first step is to create a well-defined, customer-centric vision. Once your guiding principles are in place, they will direct the behavior of your business. Every member of your team should become familiar with them, and they should be included in all areas of training. 2. Identify precisely who your customers are. The next step is to personify the different types of customers who communicate with your customer support teams. To really understand customer wants and needs, the customer support team needs to empathize with the customers. 3. Create an emotional bond with your customers. You’ve probably heard the phrase “It’s not what you say; it’s how you say it.” The best customer experiences are attained when your team members create an emotional connection with your customers. Excellent service inspires loyalty because customers remember how they feel when they use your product or service. 4. Collect customer feedback in real time. How can you tell if you are providing a “wow” customer experience if you don’t ask? You can accomplish this by capturing feedback in real time. Surveys and similar CX tools can be delivered post-interaction using a variety of tools through email and calls. 5. Develop your team. The next step is to identify the training requirements for each member of your customer support team. Many businesses evaluate the quality of email and phone communication. However, a quality framework takes this evaluation one step further by tracking your team’s development through group training and coaching. 6. Act upon employee feedback. Consistent feedback from employees can play a pivotal role by utilizing tools that let managers see how the staff is feeling toward the business and allows staff members to share their ideas on how to improve the customer experience. 7. Measure the ROI. How do you know if all this investment is paying off? The answer is in the business results. Customer expectations are higher than ever, and word of mouth travels fast! So customer experience is an area that needs constant nurturing and care and with a greater focus on customer experience strategy. So how does your company’s customer experience measure up? 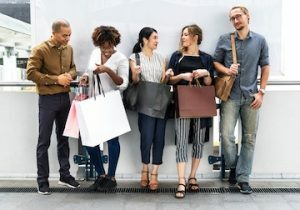 Mystery shopping can show you by providing simple, objective observations of your staff and operations through the eyes of professional mystery shoppers, both in person and online. Contact Reality Based Group today to find out how our mystery shopping programs can help your business.